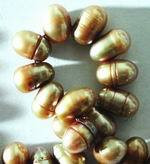 Sorry, we are currently sold out of 'Oriental Honey-Gold Biwa Pearl Strand'. Please check back later. Sorry, we are currently sold out of 'Beefy Royal Gold 9mm Pearls'. Please check back later. Regal 8mm Gold Pearls - For Dramatic Jewelry! Sorry, we are currently sold out of 'Majestic Gold 6mm Pearls'. Please check back later. 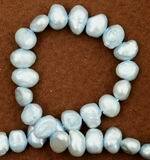 Sorry, we are currently sold out of 'Oriental Gold Top-drilled 18mm Pearl Strand'. Please check back later. 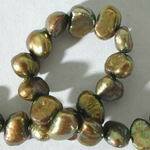 Sorry, we are currently sold out of 'Beautiful 5mm Bronze Pearls'. Please check back later. Sorry, we are currently sold out of 'Sleek Golden Yellow Pearl Strand - Large 9mm'. Please check back later.